Reflexivity is a primary requirement for professional work. Our aim was to describe a methodology suitable for detecting the development of reflexive practice through the analysis of 59 Master’s degree students’ journals. We explore the use and changes of reflexive practice in relation to the settings and activities of the course using analysis of the mental language: We analyse how the reflexive practice is characterized, how it evolves through time and how it can be promoted. Data analysis shows that reflexivity is not monodimensional but multidimensional. 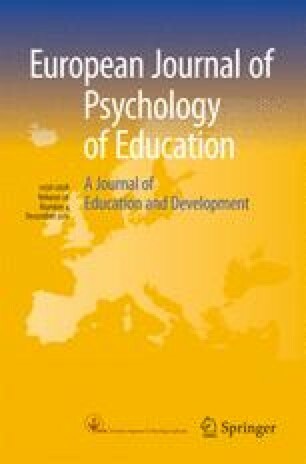 Reflexive practice increases during the course: The different dimensions vary over time according to different organizational and educational conditions. This methodology allows us to formulate new hypotheses about which elements of the setting and process are effective in supporting participants’ reflexive practice. Andreina Bruno, PhD, is Assistant Professor in Work and Organizational Psychology at Università degli studi di Genova, Genoa, Italy. Professional identity development. Reflexivity and higher education. Health and safety at work. Action- research and organizational learning. Bruno A. and Vecchio L. (2010). Condurre la ricerca azione nell’università, in C. Kaneklin, C. Piccardo, G. Scaratti (eds.). La ricercaazione. Cambiare per conoscere nei contesti organizzativi. Raffaello Cortina Editore, Milano. Kaneklin C., Scaratti G., Bruno A. (2006). La Formazione universitaria. Pratiche possibili. Carocci, Roma. Gilardi S., Bruno A. e Pezzotta C. (2006). Discursive Practices and Mentalization Ability in Adult at Work, in A. Antonietti, O. Liverta Sempio e A. Marchetti (eds). Theory of Mind and Language in Different Developmental Contexts (pp. 173-191). New York: Springer. Laura Galuppo is PhD in Work and Organizational Psychology and Post-doc scholar at the Department of Psychology, Università Cattolica del S. Cuore of Milan. Organizational social sustainability. Health and safety at work. Action-research and organizational learning. Silvia Gilardi is Assistant Professor in Work and Organizational Psychology at Università degli studi di Milano, Italy. Current themes of research are: professional identity development; reflexivity and learning in adult and higher education; action-research and organizational learning. Gilardi, S., & Guglielmetti, C. (2011). University life of non-traditional students: Engagement styles and impact on attrition. The Journal of Higher Education, 82(1), 33–53. Gilardi, S., & Lozza, E. (2009). Inquiry-based learning and undergraduates’ professional identity development: Assessment of a field research-based course. Innovative Higher Education, 34(4). Kaneklin, C., & Gilardi, S. (2007). Formare una pratica professionale competente in ambito psicologico: il ruolo dell’università. Psicologia Sociale, 3, 389–408. Gilardi, S., Bruno, A., & Pezzotta, C. (2006). Discursive Practices and Mentalization Ability in Adult at Work. In A. Antonietti, O. Liverta Sempio & A. Marchetti (Eds. ), Theory of Mind and Language in Different Developmental Contexts (pp. 173–191). New York: Springer. E-mail: silvia.gilardi@unimi.it.